AYUSH ministry would receive around 8% more funds in the next fiscal amid the government’s increased focus on promoting alternative medicines. In the Union budget for the fiscal 2017-18 announced by finance minister Arun Jaitley on Wednesday, Ayush ministry has been allocated Rs1,428.65 crore for the financial year, starting 1 April this year. The total outlay for the ministry of Ayurveda, Yoga and Naturopathy, Unani, Siddha and Homoeopathy (AYUSH) in the previous budget stood at Rs1,326.20 crore. Of this, the maximum budget allocation is for medical and public health which stands at Rs914 crore as compared to Rs860 crore in the previous budget. Also, funds to the tune of Rs440 crore have been earmarked for the national AYUSH mission, while Rs175 crore have been allocated to Central Council for Research in Aurvedic Science. 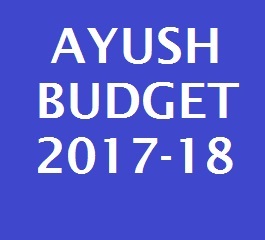 The Central Council for Research in Unani Medicine has been allocated Rs123 crore in the AYUSH ministry’s budget for the next fiscal. The Ministry of AYUSH was formed on 9th November' 2014. Earlier it was known as the Department of Indian System of Medicine and Homeopathy (ISM&H) which was created in March 1995 and renamed as Department of Ayurveda, Yoga and Naturopathy, Unani, Siddha and Homoeopathy (AYUSH) in November 2003, with a view to provide focused attention for the development of Education and Research in Ayurveda, Yoga and Naturopathy, Unani, Siddha and Homoeopathy. Objectives: To upgrade the educational standards of Indian Systems of Medicines and Homoeopathy colleges in the country. To strengthen existing research institutions and to ensure a time-bound research programme on identified diseases for which these systems have an effective treatment. To draw up schemes for promotion, cultivation and regeneration of medicinal plants used in these systems. To evolve Pharmacopoeial standards for Indian Systems of Medicine and Homoeopathy drugs.